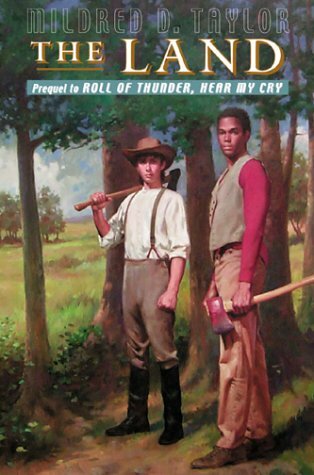 Every year, my students enjoy reading The Land, by Mildred Taylor. Set in the South after the Emancipation Proclamation, it tells the story of Paul Edward Logan, the son of a wealthy, white plantation owner and his black slave. Although Paul’s mother is now free, she chooses to stay on the plantation and give her son the opportunity to know his father. Paul’s father treats him like his own white children, until one day when Paul hits one of his white brothers. Mr. Logan must make Paul understand that he is black and cannot hit a white man. The story takes the reader through Paul’s life, as he feels he does not fit in-—he is not accepted by the whites, because he is half black-- he is not accepted by the blacks, because he looks white. In spite of many hardships, he perseveres to fulfill his dreams. It is an inspirational story that brings to life an important part of American history.